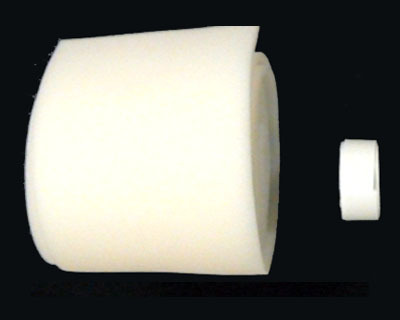 Our Foam and Tape is designed for laryngectomees who would like to make their own filters. 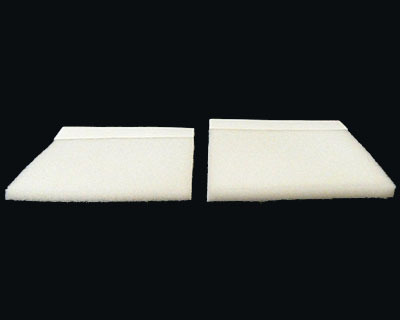 The foam is available in two thicknesses, 1/8 or 3/16 inch. These filters are natural colored (no dye additives). Foam and Tape is sold in 24 foot lengths. 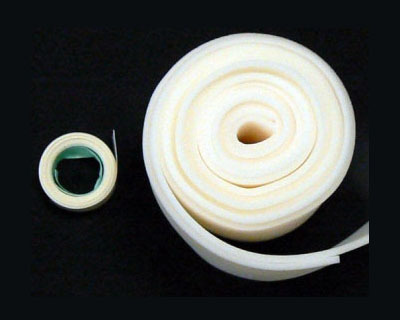 Our soft patented plastic foam is designed for filtering air. The density, porosity, and thickness has been carefully calculated for best results when used by laryngectomy patients. Thin - 1/8" Thick - 3/16"
Due to recent changes in Medicare we are no longer able to sell in Alabama, Montana, Tennessee, South Carolina or Utah. Orders from these states will not be fulfilled. Regular price: $49.00 for 24 feet. Shipping is only $7.50 for Prority mail or $50.00 for UPS Second Day Air within the Continental US including Alaska and Hawaii. No international sales. United States customers only. We do not currently provide product in AL, MT, SC, TN & UT. © 2004 - 2019 DeanRosecrans, Inc All rights reserved!